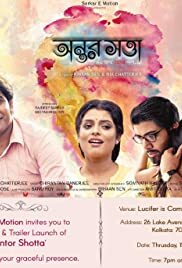 Ujaan Chatterjee, a passionate writer, lives a very lonely life, away from the outside world. As he grows older, he surrounds himself with books and aspires to become a writer. The only person he trusts as a friend is Misti, his schoolmate. Soon, as the friendship grows, Ujaan falls for Misti but she rejects his proposal as she is already engaged with someone else. Years later, Ujaan, now a famous writer meets Misti at a facilitation ceremony and discovers that she is divorced . Will Ujaan win his love this time ? What does destiny have in store for him ?